With this done, the whole wide world of jQuery goodness opens up. In the following example I use the DataTables plug-in to add a nifty search functionality and frozen header and vertical scrolling. 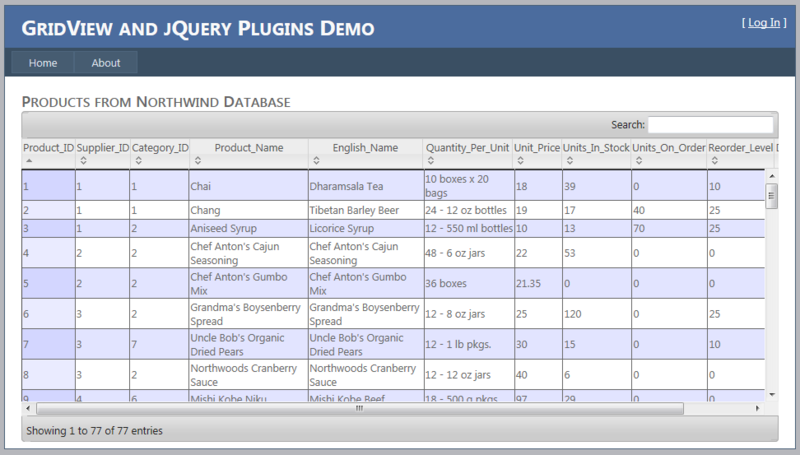 We will create a new ASP.NET web application and use the DataTables jQuery plugin to jazz up our grid view control. Bring up Server Explorer and double click on Northwind.sdf to connect to it. Change the header to something like “Products From Northwind Database” and remove the other default paragraphs. Change the Name of the gridview to jqDemoGridView. Add a PreRender event handler and place the above code in the event handler to ensure the GridView emits proper table tags in HTML. a. 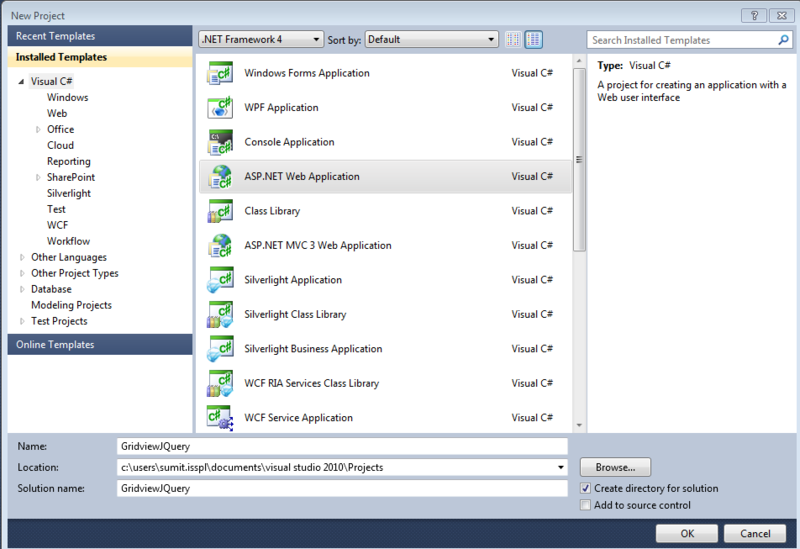 If you are using derivatives of Visual Studio 2010 your project should come with jQuery included by default under the Scripts folder. I got version 1.4.1 with my project. You can get the latest version from here and place it in your Scripts folder. b. Next we will get the DataTables plugin scripts from here (~8Mb). Download the zip file and extract it. Open Windows Explorer and navigate to the extracted folder. There should be three folders from the zip, examples, extras and media. 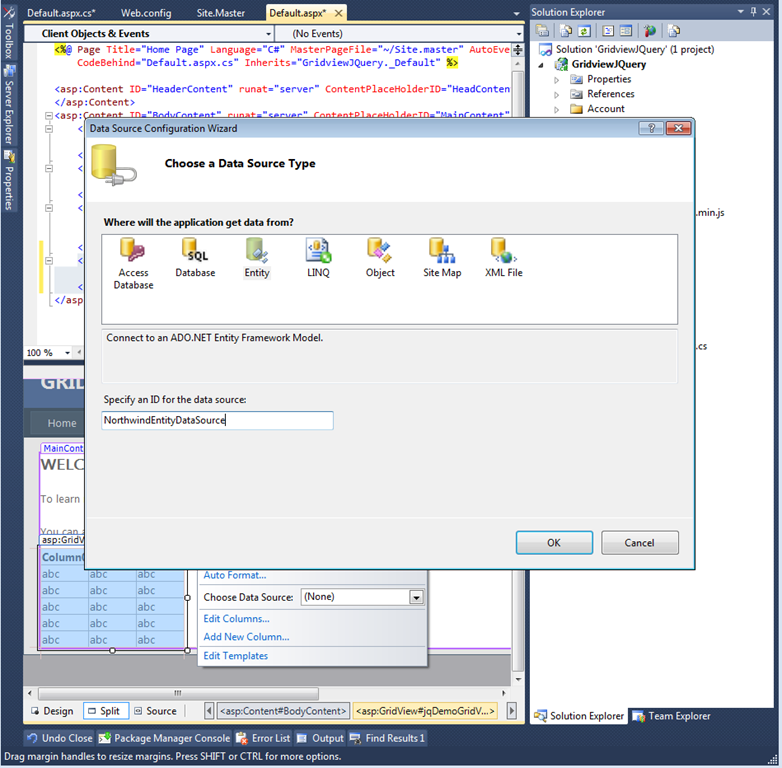 Go to Visual Studio, select the Scripts folder in Solution Explorer and press Ctrl+V to add the folders. d. From the media\css folder select all the css files and paste it in Solution View’s Styles folder. 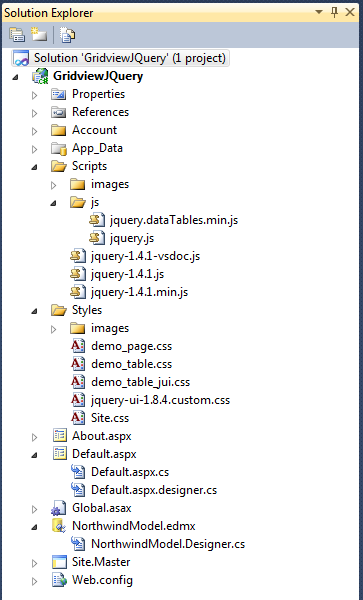 f. Exclude the jquery.dataTables.js, jquery.js and jquery.dataTables.min.js.gz files. The rest of the files are enough. (the .min.js version is minified meaning it doesn’t have any kind of whitespaces and reduced in size as much as possible. It’s not at all readable so if you want to go through the js to understand it, use the non-minified version) Your solution explorer should looks something like the following. I will connect to the above data using the Entity Data Source. You can select your own data connection mechanism. Basically the idea is to get the GridView populated with enough data that requires a vertical scrollbar. 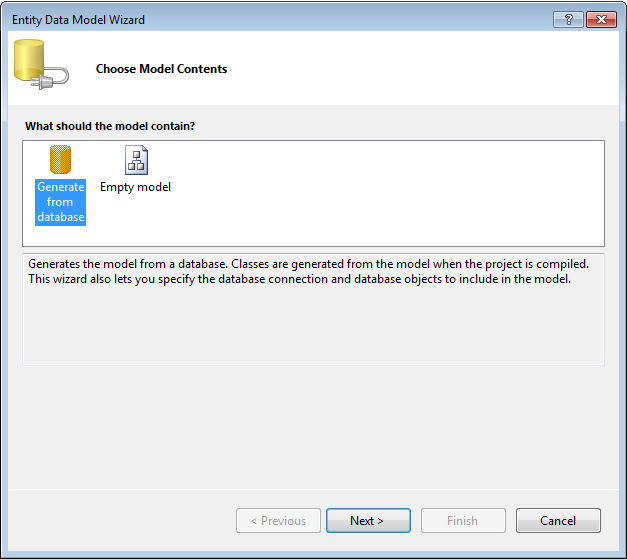 If you are using SQL CE 4.0 like me follow along. b. 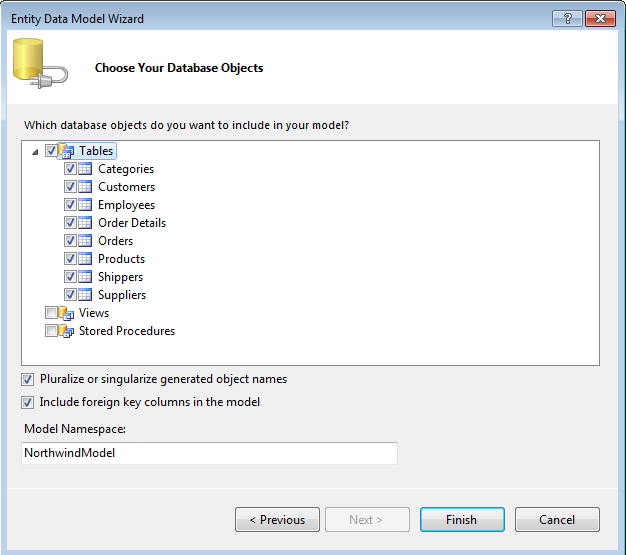 Select the default ‘Generate from Database’ and click Next. c. If Northwind.sdf connection was open it will select it by default and the next screen should look something like the following. d. The Wizard will connect to the DB and load up the schema. Select all the tables and click Finish. e. Save solution and do a ‘Build All’. 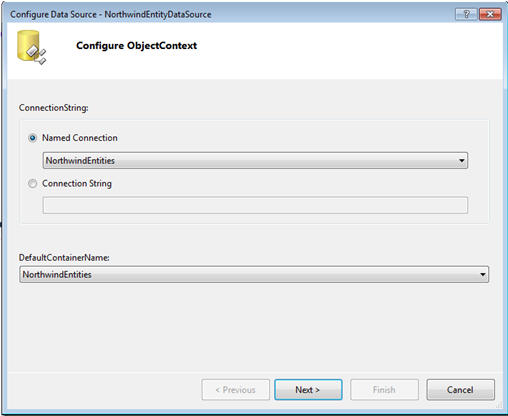 b. Click Ok to bring up the Configure ObjectContext wizard. 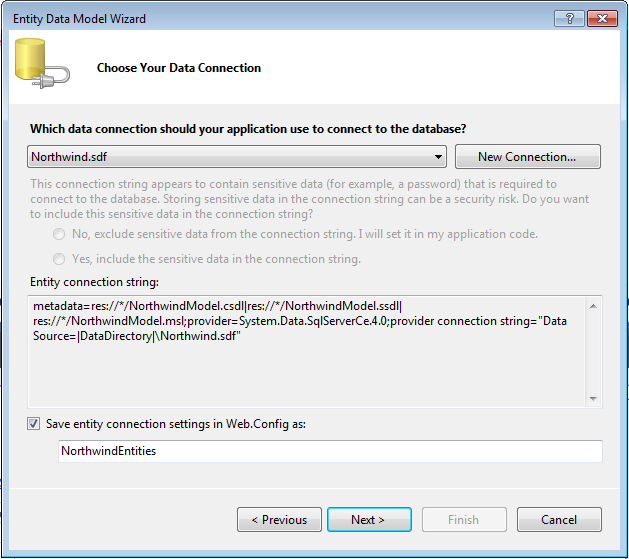 It should select the NorthwindEntites connection it created while building the data source by default. If you named it differently in Step 6.c. select the name that you gave it. The DefaultContainerName will come up automatically once you select the Named Connection. Click Next. If you run your application at this point you will see the grid populated with data from the products table. Just for kicks right click on the browser to bring up source, you will see the <thread><tr><th> rendering for the table in the final HTML. So far so good. Here comes the fun part now. Let’s tie up our grid with jQuery and datatables goodness. b. 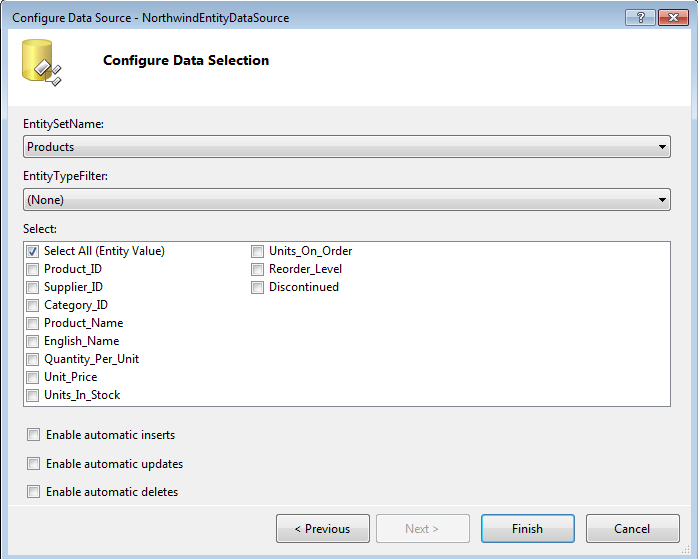 Open the Default.aspx and in the BodyContent area, drop the jQuery script file and the jquery.dataTables.min.js file. iii. bLengthChange: A boolean parameter (not sure what it does, it’s set to false in our code). iv. bFilter: A boolean parameter indicating if Filtering should be enabled. We set it to true. v. bSort: A boolean parameter indicating if Sorting should be enabled. We set it to true. vii. sScrollY: A integer parameter indicating the fixed height of the table. Scrolling is enabled after rows of data exceed this height. viii. sScrollX and sScrollXInner: Parameters that help enable horizontal scrolling. Clean up the Default.aspx by removing the default messages and run the application. c. Scroll horizontally and vertically and see how the headers remain aligned. We started off with the small goal of figuring out how to emit thead for a GridView control and ended up applying a jQuery plugin to add rich client side functionality thanks to the proper rendering of thead and tbody tags. 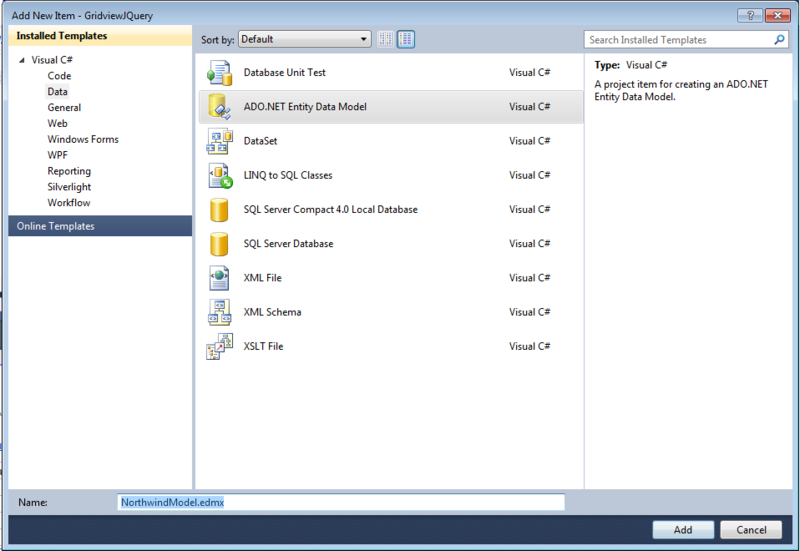 This opens up a vast playground for jQuery enabled ASP.NET sites with interactive GridView. Notice we haven’t used Microsoft’s Ajax Control Tool Kit anywhere. Though I have used DataTables and jquery and Ajax Control Toolkit all in the same page and they do work together. But that’s another story. I am trying to make a clean break from ACT and do things in jQuery only. Hopefully sometime soon, I’ll be able to demonstrate use of more jQuery plugins with more functionality like Edit/Update/Delete from the grid view control. The entire source code including the Northwind.sdf file is uploaded here (hosted on SkyDrive – 714KB download size). This code uses DataTables.net which is released under GPL v2. Please respect open source licensing model. Whatever little I have written is made available As Is.